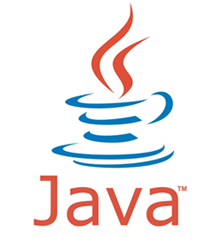 Java is perhaps the most established programming language in the world today. It is useful not only for desktop/laptop devices, but also for mobile platforms. Our JAVA web application developers are using tools like Ext JS, JSP, CSS, AJAX, HTML and framework technologies like Hibernate, Spring, etc. Our software developers have proven expertise and domain knowledge in designing and developing health care applications like EHR, EMR etc. Our services range from the user interface websites to complete online /offline software’s that integrates with client requirements. With our systematic approach to designing and development, we guarantee the error free and easy to use applications in Java. We firmly point ourselves as the partner providing support to the clients with the tools and functionality required for their precise requirements. To make your business growth, we always have solutions for your requirements. Hiberante is one of the popular ORM(Object Relational Mapping) tool for ,Java platform. Hibernate maps the java objects with tables and provides high efficiency.